Matilda is a Social Media Specialist based in Sydney Australia with a keen interest in helping small to medium sized businesses develop their social media presence. In 2018 Matilda completed a Bachelor of Business degree at University of Technology Sydney with a double major in Marketing and Accounting. Throughout her studies she was an intern at Sally Burleigh Public Relations learning social, digital and print media marketing techniques and worked with various brands such as Camilla, Heinecorp and COS. Additionally, Matilda trained in website creation, blogging marketing techniques, SEO, Google Analytics and other various e-commerce software. 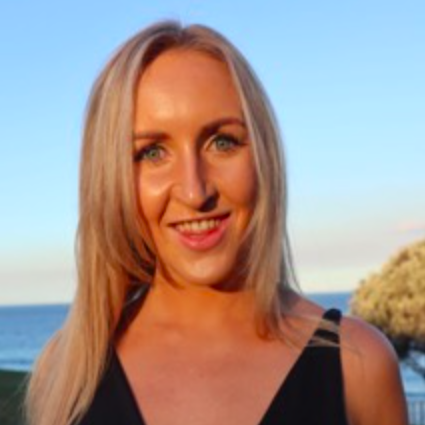 An experienced user of Facebook (2008) and Instagram (2012), Matilda has helped many clients increase their number of followers from zero to well over 15,000 in record time, reaching mass audiences in a cost-effective manner and connecting them with their target audience. She professionally manages social media pages for business, including Instagram, Facebook, LinkedIn, Twitter and Pinterest. Matilda has her own website (created through Squarespace) with a Shop Page, Blog Page and a page dedicated to her Social Media Management services. 40% of her website’s traffic is derived via Instagram, 30% from Facebook and 20% from Pinterest (10% is direct traffic). Her Pinterest account receives over 63,000 monthly views (and growing! ), which have accumulated without intense marketing efforts but rather through consistent and relevant posts and keywords. Matilda effectively uses her digital marketing skills to appeal to mass markets as well as create niche themes, so that her audience can understand exactly what she is writing about and why.